Graham Gudgin is Honorary Research Associate at the Centre For Business Research (CBR) in the Judge Business School at the University of Cambridge and visiting Professor at the Ulster University. 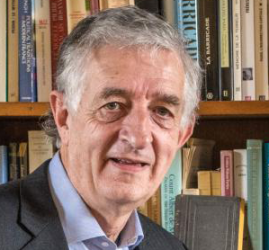 He is also Chief Economic Advisor at Policy Exchange in London and is a founder and editor of the pro-Brexit website BriefingsforBrexit along with Professor Robert Tombs at Cambridge. He is an economist specialising in macro-economic forecasting and has recently worked extensively on the economic impact of Brexit with colleagues at Cambridge and Ulster University. He was formerly Director of the Northern Ireland Economic Research Centre in Belfast and from 1998-2002 was Special Advisor to First Minister David Trimble in Northern Ireland.